Sometimes, when I can’t help it, I leave New Jersey. 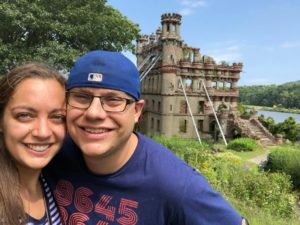 Last weekend, my husband and I ventured about an hour north into Newburgh, New York. We embarked on the Estuary Steward and took a 30 minute ride up the Hudson River to Pollepel Island. 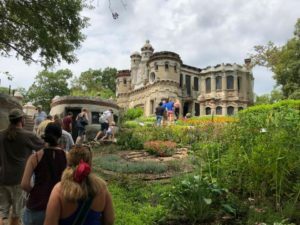 Once we reached Pollepel Island, our tour guide regaled us with the history and folklore surrounding the island, as well as its locally famous landmark, known as the Bannerman Castle. Frank Bannerman and his family lived in New York in the late 1800s and early 1900s. Frank purchased military surplus goods such as guns and ammunition and resold them for profit. He eventually ran out of room to store his 30 million munition cartridges, and thus began construction on a castle to store his military surplus goods on Pollepel Island. Frank designed the castle based off of castles in Europe that he saw during his travels. Construction began in 1901 and ceased upon Frank’s death in 1918. In 1920, an explosion of gun powder and bullets stored on the premises destroyed a portion of the castle. The elements, including several snowstorms and fires, further destroyed the castle in the following decades. At the present time New York State owns the lands, and various tour groups offer walking tours and kayak tours of the area. 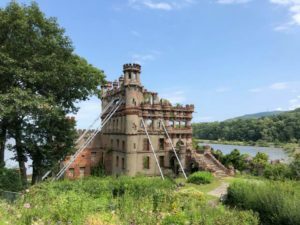 The grounds are extremely well-kept, including an extensive array of flowers, the remains of the “Bannerman Castle,” and the residence in which the Bannerman family resided during their time on the island. 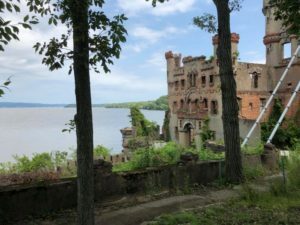 This is a must-see location for anyone who enjoys modern American history, Hudson Valley history, and outdoor/hiking activities. Previous Previous post: ¿Cuáles son los diferentes tipos de custodia?